A community website that has served Welham Green for almost six years has closed following the latest attack by hackers. The independent site was created by Welham Green resident, photographer and historian Mike Allen. It launched on 1 July 2013. According to the mission statement on the front page of the site, the project aimed “to make Welham Green a better place to live and work in”. But Mike’s site had recently fallen victim to a number of hacking attacks, the most recent so severe that he says he would have had to start from scratch rebuilding the whole site. 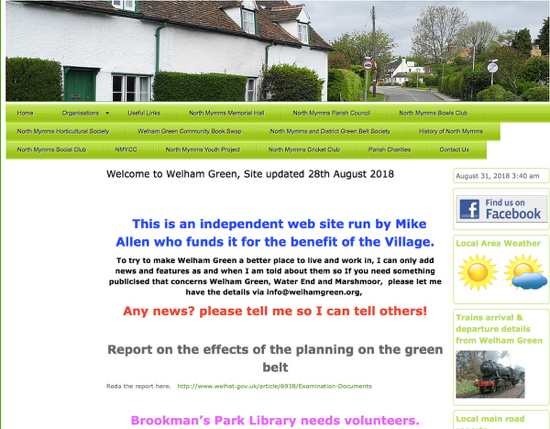 The site, www.welhamgreen.org was a rich resource of local news and information with pages covering the following community bodies, groups and projects. The news of the closure of the site was posted on the Welham Green Community Facebook page. Mike is one of the founding members of the North Mymms History Project, where he continues to contribute to a growing collection of almost 200 online local history features. He is also working on his personal collection of North Mymms Notes, which are short historical essays about the parish, and on his Images of North Mymms project, which is a collection of more than 4,000 old images of the parish which Mike has digitised so that they are available for future generations. 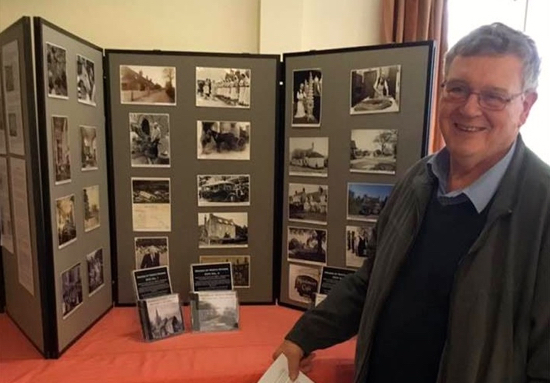 Mike is often asked to give presentations about both his North Mymms Notes and Images of North Mymms to local groups interested in learning more about the area’s local history. And he has researched and created all the biographies and background information for his Mighty Men of Mymms site about the WWI men named on the North Mymms war memorial. The closing of WelhamGreen.org follows on from the changes which took place in January 2018 to another local site, The Brookmans Park Newsletter, which had been running for more than 20 years. That site evolved into this site, North Mymms News which now covers news, information and events for the whole of the parish of North Mymms. As part of that change, all the history content that was on the Brookmans Park Newsletter was revised, enhanced and moved to the North Mymms History Project, and the walks moved to Hertfordshire Walker.